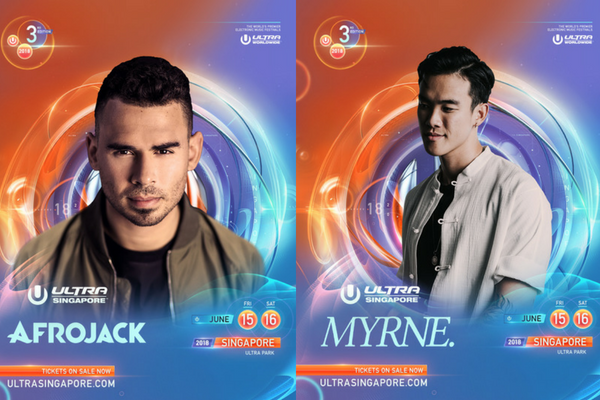 ULTRA SINGAPORE is slated to return for its much anticipated third instalment on 15 and 16 June 2018 at ULTRA Park Marina Bay Sands, and judging by the acts recently announced, revellers are going to be in for an incredible time. Headliners this year include trance legends Above & Beyond, Afrojack, DJ Snake, Nicky Romero, and Steve Angello, who will be making revered returns to the ULTRA SINGAPORE’s Main Stage across the two-day festival. Loco Dice headlines the Resistance Stage, together with Coyu, Nastia, Popof, and Osia. Trap and bass lovers can look forward to the inaugural debut of Miami’s signature Worldwide Stage, which will see the first-ever outings of artists like RL Grime, NGHTMRE + Slander, Illenium and JOYRYDE in Singapore. Apart from international acts, ULTRA SINGAPORE also shines the spotlight on regional and local artists this year. Keep a look out for KAKU, MYKRIS, and Singapore’s very own MYRNE. The born-and-bred DJ producer was the very first local DJ to perform in ULTRA MIAMI in 20 years of the festival’s history. In case you haven’t heard of him yet, it’s about time. Go listen to his music on Spotify here. Get your tickets to ULTRA SINGAPORE here.